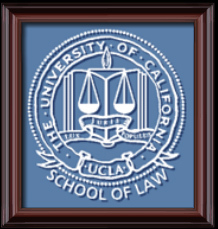 After obtaining degrees in Economics, Philosophy and Accounting, Mr. Hoffman graduated from the prestigious UCLA SCHOOL of LAW in 1988. Since then, he has zealously and fearlessly litigated most types of business and civil cases. Mr. Hoffman has made it his mission in life to see to it that injury victims are fully compensated. When he and his partners are not litigating cases, Mr. Hoffman enjoys swimming, basketball, ping pong, chess, and spending time with his wife and children.